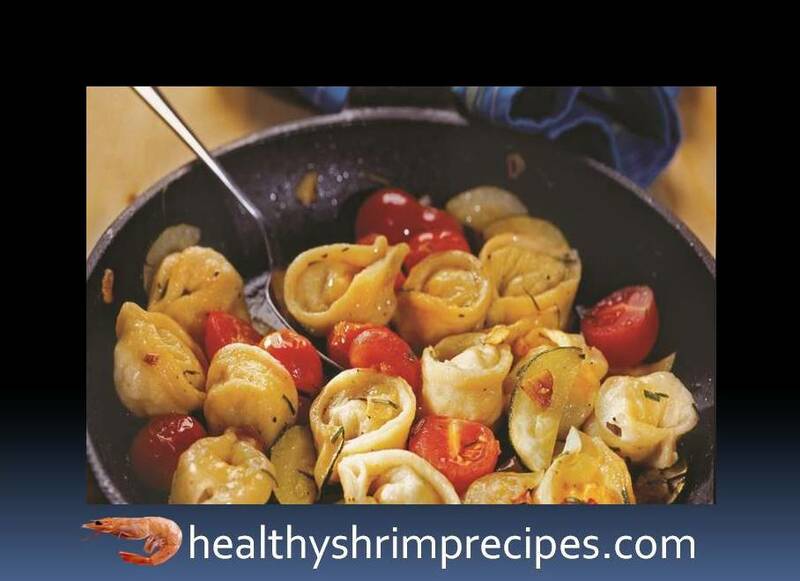 This light, healthy and delicious tortellini with shrimp recipe has recently become my calling card. When guests come so, if you are waiting for guests or are planning a romantic dinner, and there is not much time. 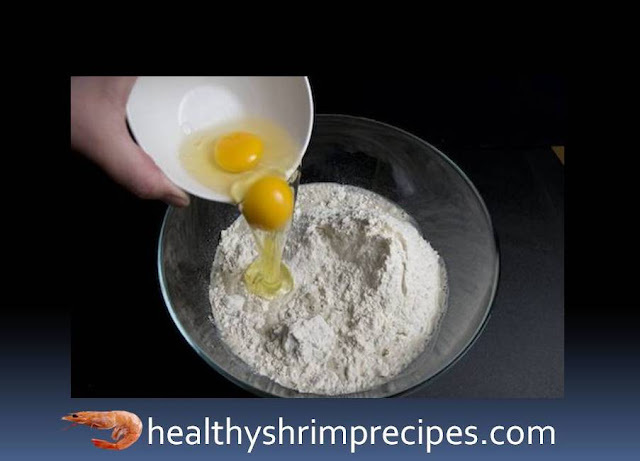 @Step 1 - In sift flour add eggs, olive oil, and salt and knead the dough. Knead until the dough is smooth and elastic and no longer sticks to the hands. Wrap the dough in a roll before rolling. @Step 2 - Shrimp and olives finely chopped with a knife cheese grate. 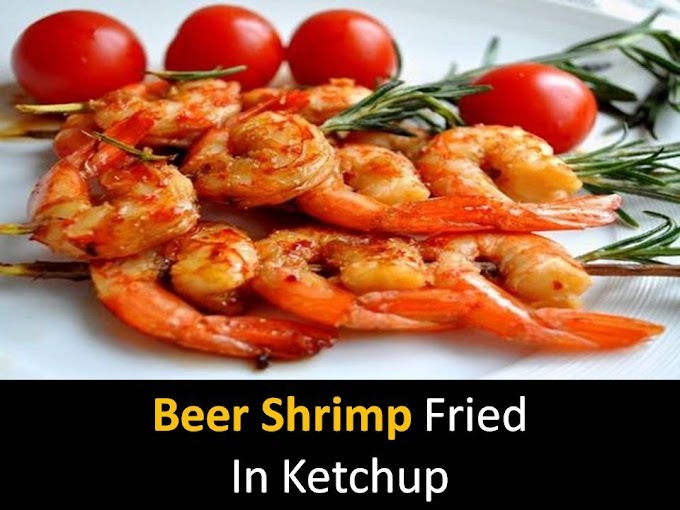 Mix the shrimps with olives and cheese, add thyme. @Step 4 - Brush the edges of the circles with water or an egg and fold them so that a semicircle is obtained. @Step 5 - Connect the opposite ends of each semicircle and fix them, slightly wetted with water and strongly pressed to each other. @Step 6 - Boil water in a large saucepan, lightly salt it. Put the tortellini and cook for 10 minutes. Garlic and zucchini peel. Chop garlic, zucchini cut into half rings. Wash tomatoes and cut in half. Wash, dry and finely chop the onion. Heat vegetable oil in a pan, fry garlic, 20 sec. Add zucchini, tomatoes, and onions and cook 2 min.